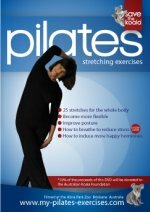 Pilates for Beginners DVD: I'm wondering if you are concerned about your level of fitness. As we age and become more sedentary, it's not easy to be motivated by exercise. But I wonder if you are experiencing tight sore muscles or maybe a bit too much flab around the middle. Time for change! 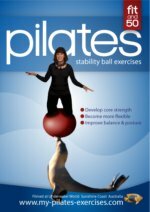 Core Strength is an imperative part of Pilates. What is "core" strength? 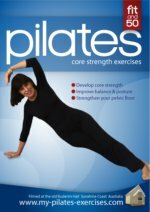 Your core are all the muscle in your torso - abdominals, back, psoas, pelvic floor etc. The theraband is a small that , but so essential in your Pilates routine. This little thing takes the place of weights. 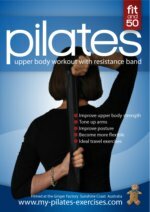 As you know, Pilates is about "resistance" work, and although we do work with weights, the emphasis is about strengthening muscles using resistance. The exercise ball is so much fun. Here you see me balancing on my ball. I'll admit to you though, the the videographer put the seal in place for me.! This is purely a stretching DVD. We do every muscle group. So, if you're feeling inflexible and a bit grungy, this is for you.. Blood delivers nourishment & rids the muscle tissue of waste products. 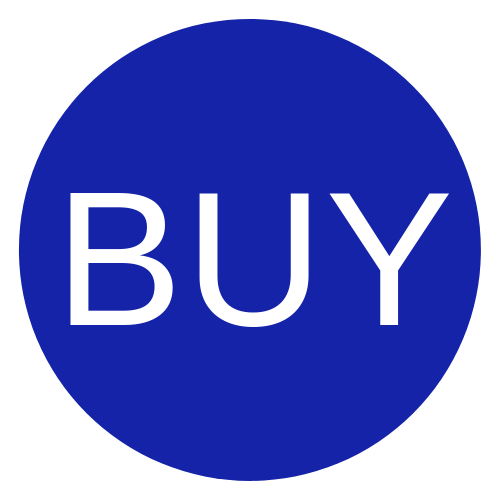 Most people when thinking of weight-bearing exercise, think of dumbbells and equipment you would find in the gym. However we offer another equally effective (although some would say more effective) method of weight bearing exercises, which is of course, is resistance exercise. Resistance exercise includes the use of simple and inexpensive equipment, plus using the weight of your own body to strengthen muscles and tone up. In the current economic climate, it’s an attractive option, as gym memberships start to bite. You’ll find both resistance exercises and flexibility stretches in these videos. Do them in your living room, or invite a couple of friends over and do them together – it’s fun that way.